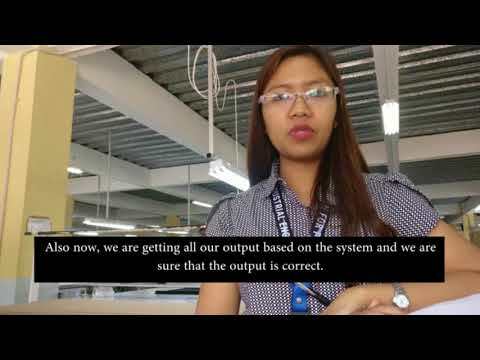 Customer Testimonial - How intelloCut helped Pt. Sumber Bintang Rejeki (Indonesia) in holistic tracking of fabric and boosting topline. PT. Sumber Bintang Rejeki is one of the most reputed lingerie manufacturers of Indonesia. Established in 2001 with the most modern, best warp knit and circular knit machinery, also supported by a full range of dyeing, finishing and printing facilities. ThreadSol’s intelloCut has facilitated comprehensive style-based and order-based fabric tracking without any manual efforts. The intelloGreen Tab App made it possible for Sumbiri to record the fabric used on the cutting floor. intelloCut also replaced their manual reporting systems with automated reporting systems. Their teams are now spared of the manual efforts in calculating daily cutting, checking lay slips etc.